Growing Herbs - When should I transplant? What's next? They need to be hardened off first -- gradually accustomed to sun and wind as well as rain and temp fluctuations. 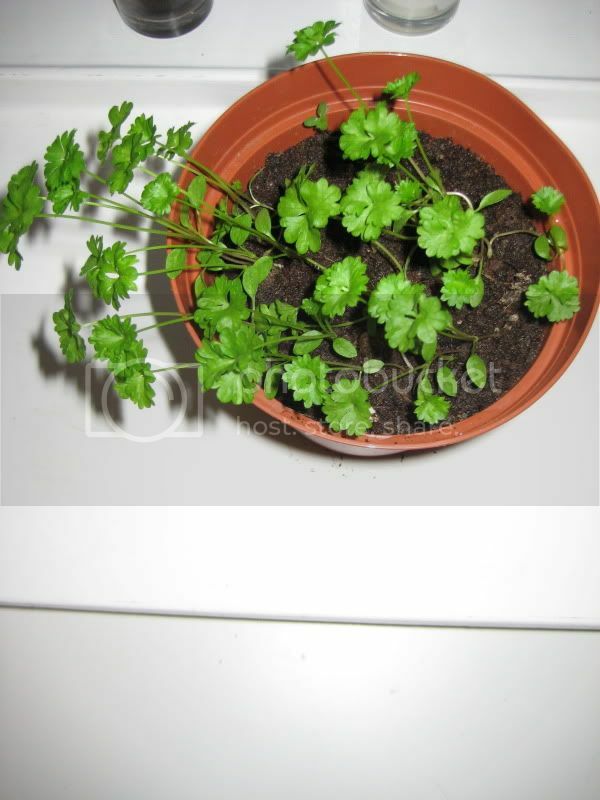 But Coriander can definitely go out -- it likes cool weather and prefers to be kept moist. It also doesn't like it's roots disturbed too much, so water well before separating, and be gentle. I find that putting the transplant's root ball in the hole and adding water 1/2 way up before filling with soil works well to ease the transplant shock. Parsley should be OK to go out -- better to be 45 degrees or more, I think, but the Basil doesn't like the cold and shouldn't go outside until temperature stays above 60Ã‚ÂºF. 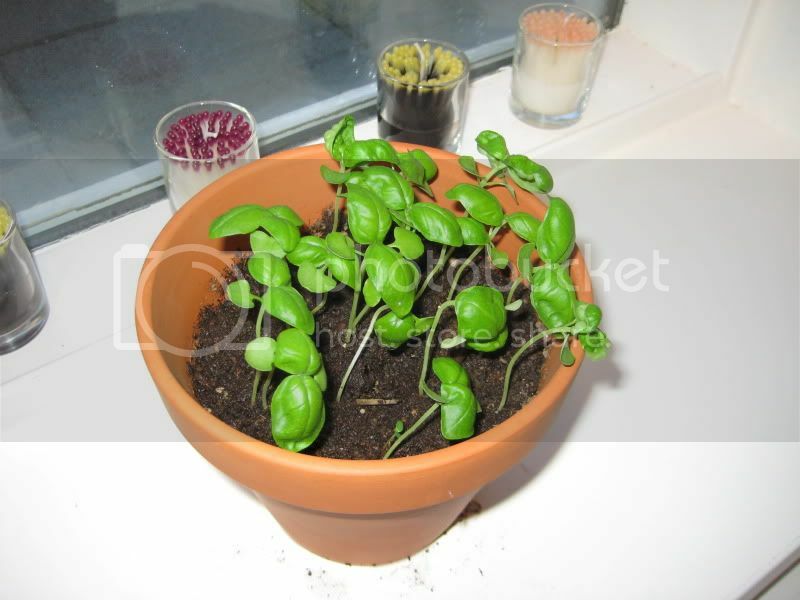 You should separate the basil into individual pots now. Start pinching the tip growth after 3 or 4 pairs of true leaves develop so they can get bushy. 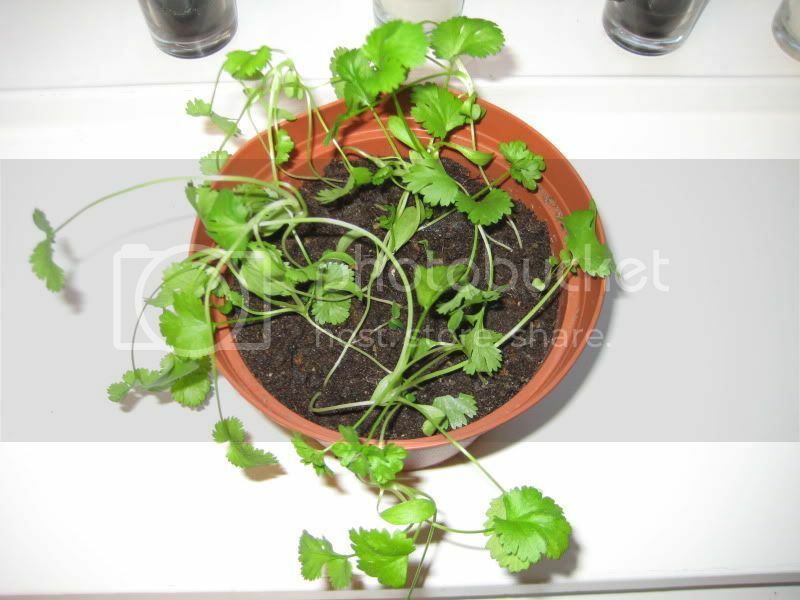 The parsley and coriander can be planted in clumps of 3 or 4. You can pot up the parsley clumps for now if you want to wait. I think you're the first person from Iceland that I've met -- anywhere! Welcome and happy to meet you. I still have herbs growing!